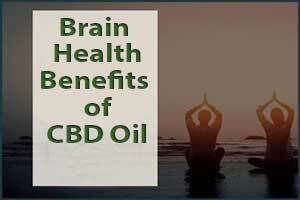 There is exciting new research being done on the brain health benefits of CBD oil. What does that mean? Well CBD or Cannabidiol could have therapeutic properties that reduce damage to the brain and central nervous system (CNS). Though the research is new it is showing promising results. It could be used to treat such things as oxidative stress caused by ischemia, traumatic blows, or autoimmune and genetic disorders. These conditions can cause permanent and temporary neural damage. Studies are showing that CBD oil may offer some protection from damage caused by these conditions and may speed recover from them as well. Cannabidiol oil has also been the focus for new research into Alzheimer’s Disease. The NIH defines Alzheimer’s disease as “an irreversible, progressive brain disorder that slowly destroys memory and thinking skills and, eventually, the ability to carry out the simplest tasks.” For most people with the disease symptoms appear in their mid-sixties, this form of Alzheimer’s is called late onset. There is also a rarer form of the disease called early onset that can affect people between the ages of thirty and sixty. Alzheimer’s disease is the most common cause of dementia among older adults. Two researchers, Watt and Karl have published their findings regarding cannabidiol as a treatment for Alzheimer’s Disease in February 2017. Their results “report seemingly miraculous reductions in cognitive impairment within a few uses.” Thousands of testimonials seem to back up their research. In another long-term study using mice that were genetically predisposed to Alzheimer’s Disease, they were given CBD. The results found that it helped prevent cognitive decline. Test tube studies are also showing promising results that CBD may decrease inflammation and ultimately help prevent the neurodegeneration associated with Alzheimer’s disease. At the University of Louisville School of Medicine, scientists are exploring the benefits of CBD to treat Parkinson’s Disease. Researchers have discovered a previously unknown molecular target of CBD that may help in the treatment of the disease. Parkinson’s Disease is most associated with compromised motor function after the loss of 60-80% of dopamine-producing neurons. As these dopamine producing neurons become damaged or die patients begin to experience one or more symptoms that include tremor of the hands, arms, legs or jaw; muscle rigidity or stiffness of the limbs and trunk; slowness of movement (bradykinesia); and /or impaired balance and coordination. Additional symptoms include decreased facial expressions, dementia or confusion, fatigue, sleep disturbances, depression, constipation, cognitive changes, fear, anxiety, and urinary problems. Cannabidiol has been found to boost dopamine levels in preclinical studies thus reducing the symptoms of Parkinson’s Disease. Another disease in which CBD oil has had some success with is epilepsy. Epilepsy is the most common neurological disorder, with over 50 million people worldwide affected. When nerve cells in the brain fire electrical impulses at a rate of up to four times higher than normal, this causes a sort of electrical storm in the brain, known as a seizure. A pattern of repeated seizures is referred to as epilepsy. Some of the causes are believed to be head injuries, brain tumors, lead poisoning, maldevelopment of the brain, genetic and infectious illnesses. But in almost half of cases, no cause can be determined. May of 2018 saw the New England Journal of Medicine publish a study about the effectiveness of cannabidiol being used to treat seizures. Patients experienced fewer epileptic seizures and fewer seizures overall. This study provides evidence of cannabidiol’s effectiveness in reducing seizure burden in epilepsy. While all of this is good news, the consensus in the scientific community is that more research needs to be done. 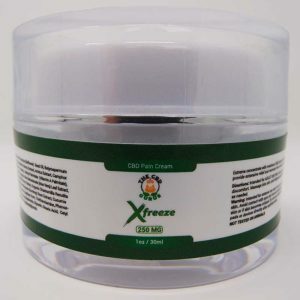 There is good evidence to suggest that CBD oil is an effective treatment for many ailments. As more clinical trials are done cannabidiol oil may assume a status of a universal, natural ground breaking medical treatment.